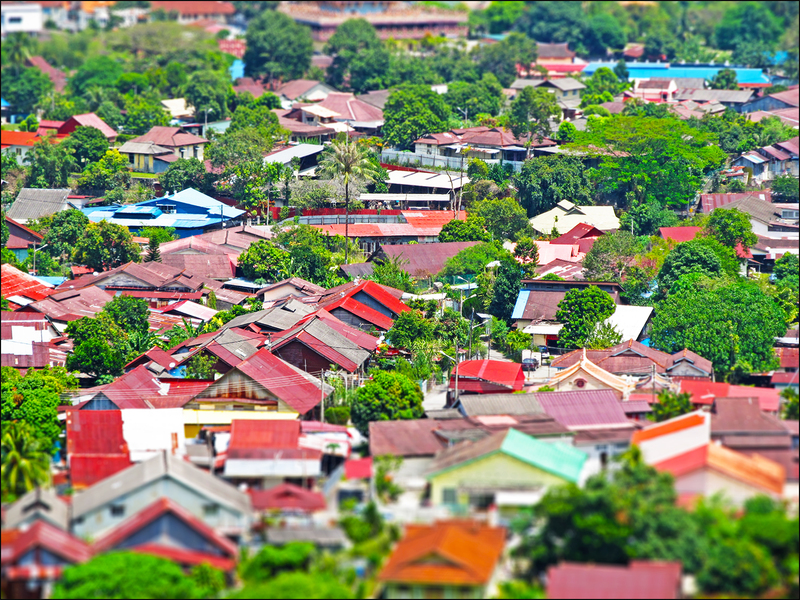 The other end of McNair Street that connects to Magazine Road in George Town. 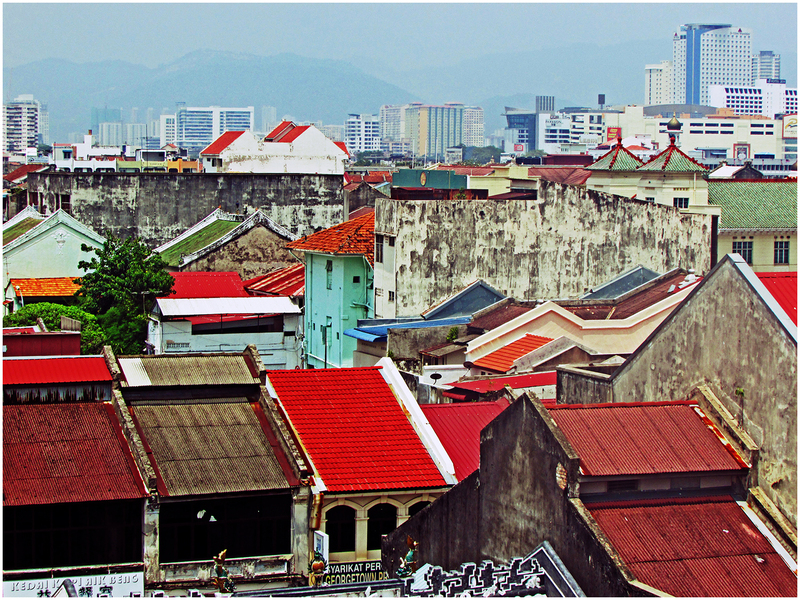 The many shapes and designs of roofs in George Town’s heritage zone. 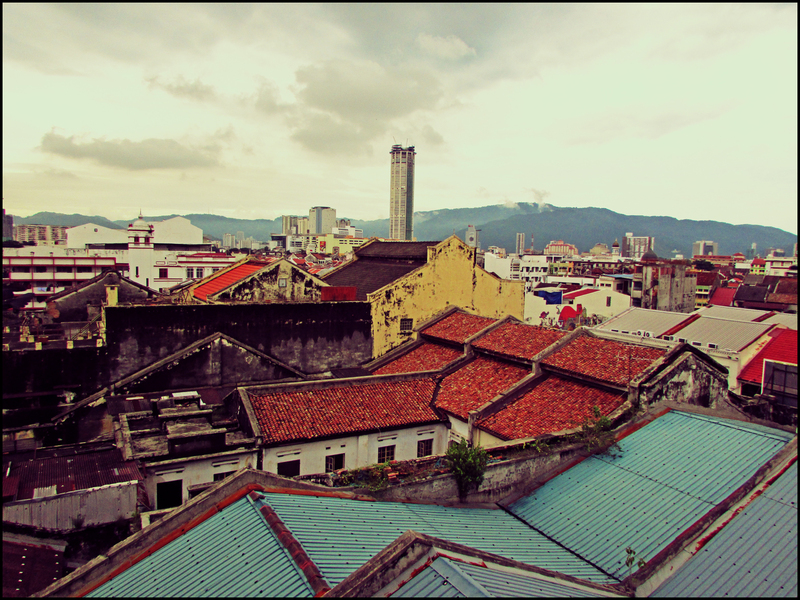 In George Town, heritage buildings of different faiths and cultures are common sights which serve as a history of Penang’s multiracial harmony. 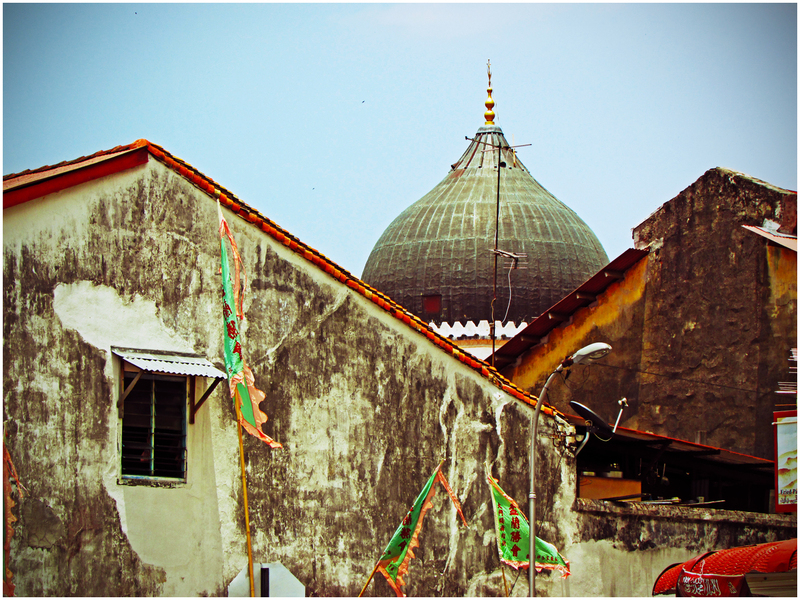 Pictured here is the view of the dome of Kapitan Keling Mosque with the roofs of two pre-war Chinese style townhouses. 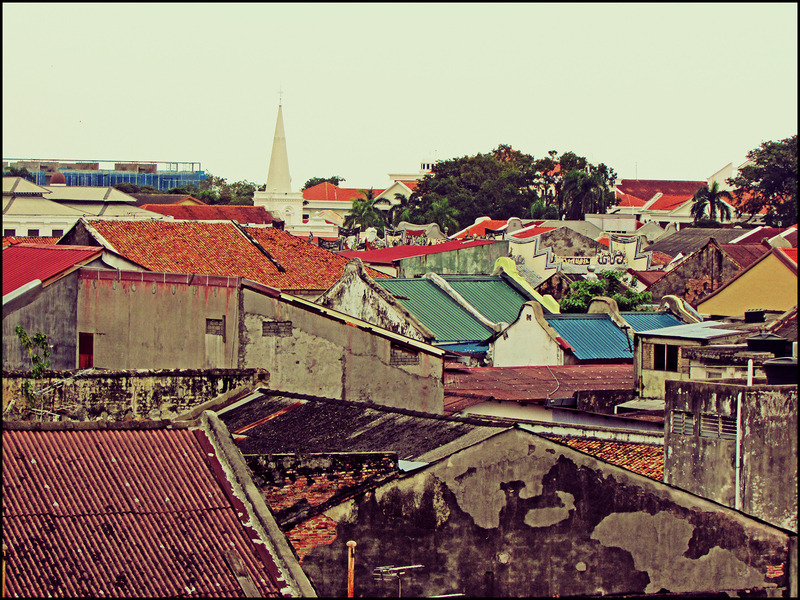 Various shapes and sizes of old rooftops in George Town’s heritage zone.